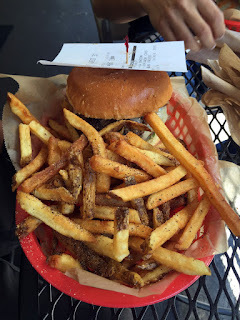 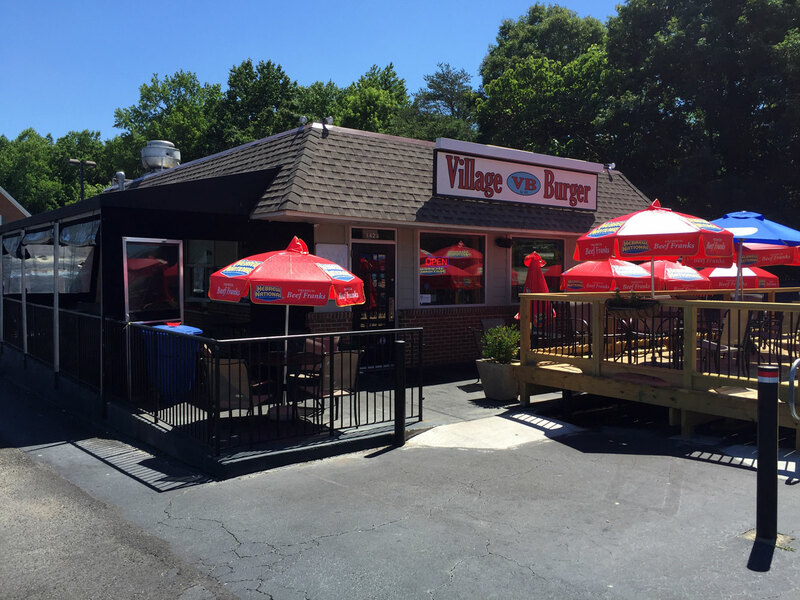 You can find Village Burger at 1426 Dunwoody Village Pkwy, Dunwoody, GA 30338. This is a standalone building that if memory serves used to be a Brusters Ice Cream. 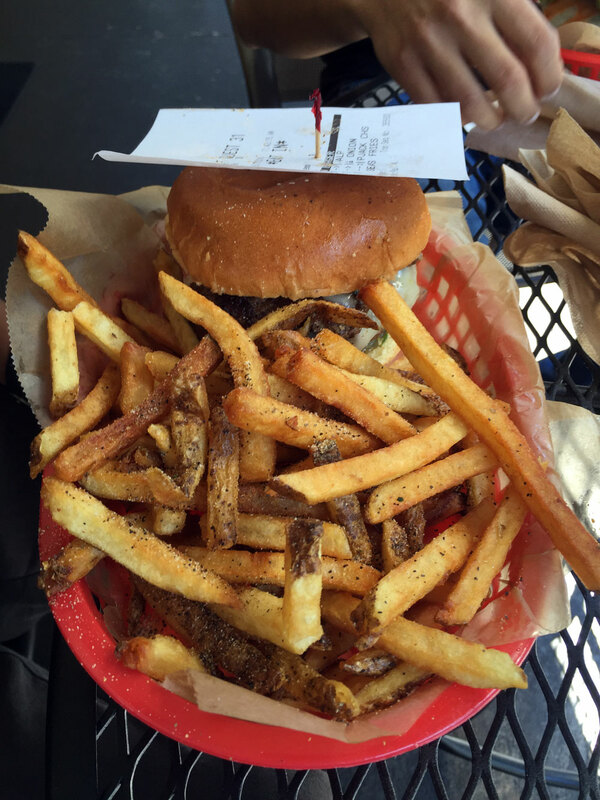 Parking is out front and along the sides, the shopping center is Dunwoody Plaza. If you haven't been to Dunwoody then you probably don't really have much of a reason to go - it's a sleepy town that services the neighborhoods that surround these plazas that make up the core local shopping. 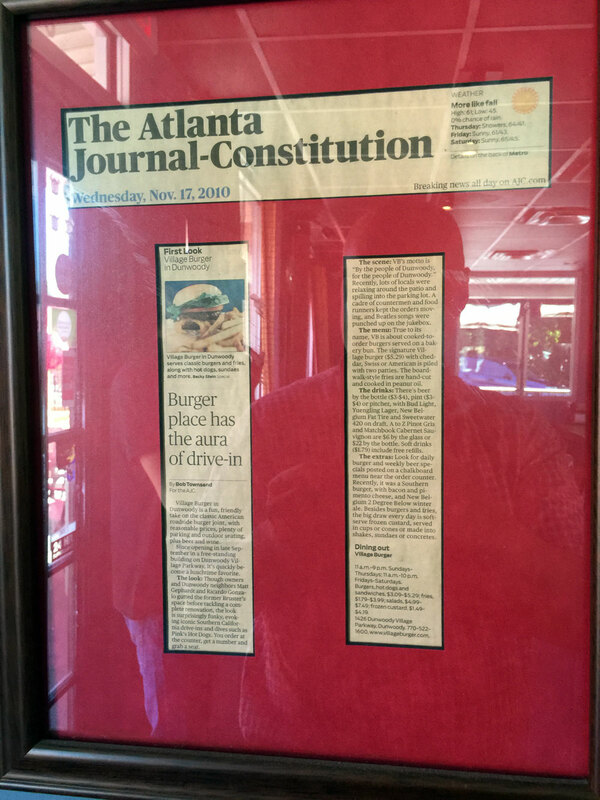 Dunwoody has only been a city for a couple of years, following the recent cityhood efforts of Sandy Springs and Brookhaven. 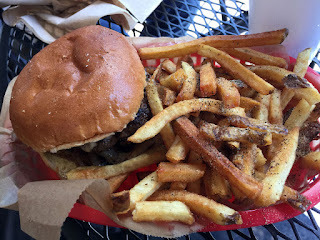 I've been visiting for many years as an alternative lunch destination to my office near Abernathy. This place gets quite busy during lunch and especially on Fridays. 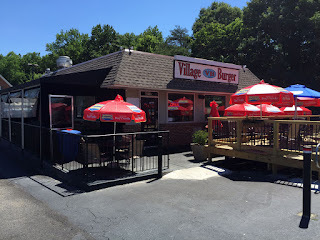 Village Burger is a local privately own burger shop serving up delicious cheeseburgers via fast-casual counter service. You have a few options and specials including a double-patty Village Burger, a single-patty house burger, a Turkey Burger and a Veggie Burger. You select your cheese and toppings (some are premium like the fried egg but well worth it!) and sauces. 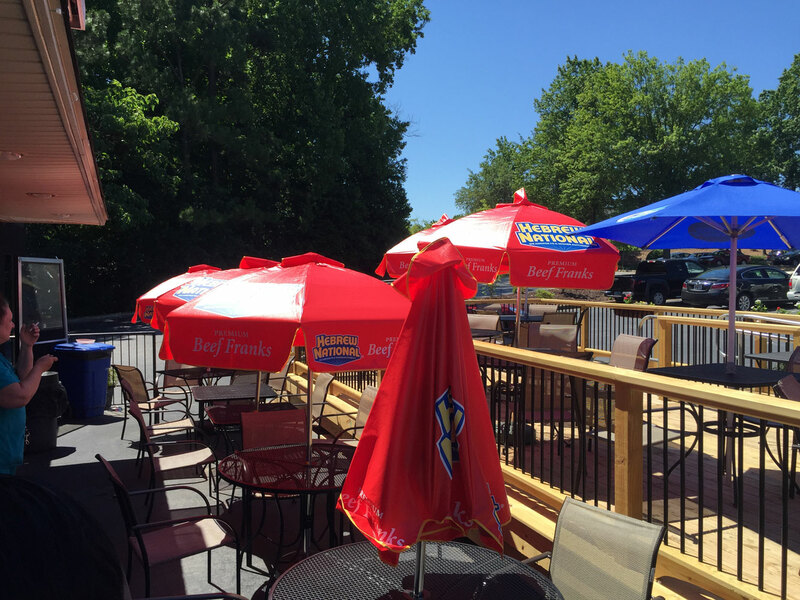 They also serve Hot Dogs, Grilled Cheese and BLT Sammies, Tenders, Salads and a few different sides (the seasoned fired are quite good). 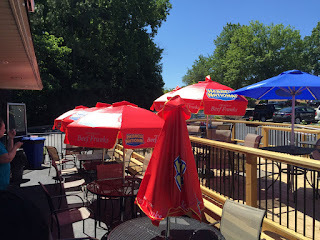 They have a limited selection of bottled and draft beer - I'd recommend enjoying these out on the patio if it's not too hot. 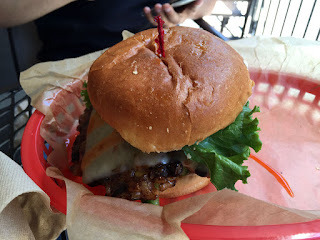 I've now eaten here about a half-dozen times and the burger is quite good. The toppings are fresh when they should be and pickled when they're not. 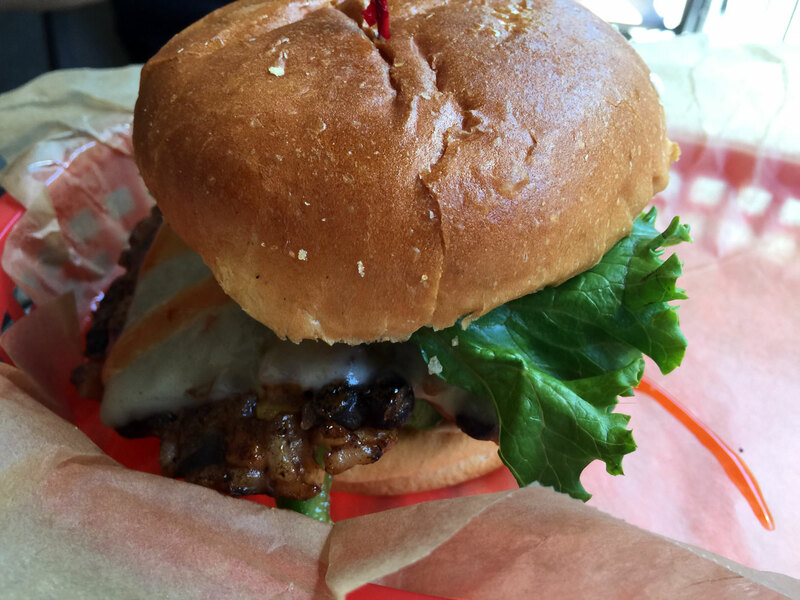 I always get extra jalapenos, the pepper jack cheese and bacon on the wheat bun. 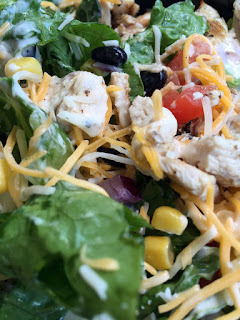 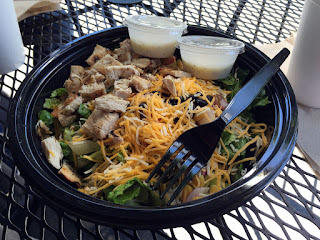 I've tried the Southwest salad with chicken and it was quite filling. 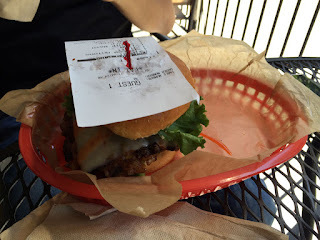 I'd recommend this as an alternative to Farm Burger - the prices are quite competitive though the patties are thinner (more like Five Guys but the quality is better and you aren't fighting all the grease). 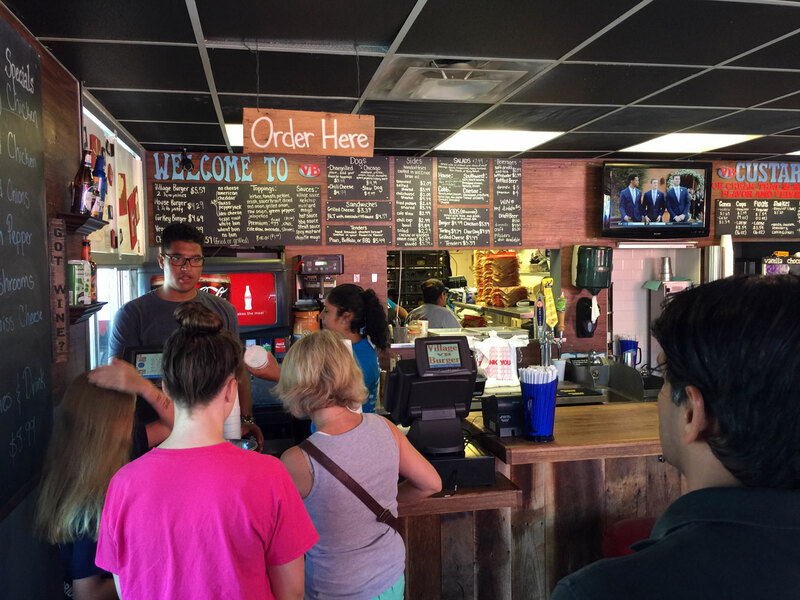 Service is also very good with every responsive food runners depending on fast turnover.